ONGC Recruitment 2019 - Apply Online for Assistant Legal Adviser Posts in ONGC, Dehradun, Uttarakhand. 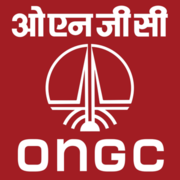 Online Applications are invited by Oil and Natural Gas Corporation (ONGC) from 15 Mar 2019 to 18 Apr 2019 for 9 vacancies. 9 Graduate Degree in Law (Professional) with minimum 60% marks. Practicing advocate with 3 years experience would be preferred for all categories. Eligible candidates may apply online at ONGC's website (direct link is given below) from 15 Mar 2019 to 18 Apr 2019. Read the information carefully & Click on "Login for Registered".